In Hear This, The A.V. Club writers sing the praises of songs they know well. This week: Songs our families made us listen to repeatedly. As one of my favorite writers as a kid put it in The Last Catholic In America, “The reason I don’t fear hell today is that I know that eternity can’t be as long as the years I spent in grammar school.” The author, John R. Powers, and I grew up in a similar part of town, on the southwest side of Chicago, in the era when corporal punishment in Catholic school was standard and most of the nuns were as mean as snakes. This was the start of my fallout from the Catholic church, which I fortunately was able to bring to fruition upon adulthood. My mother fled the church too, eventually, but unfortunately not soon enough for my childhood. But there were a few saving graces. 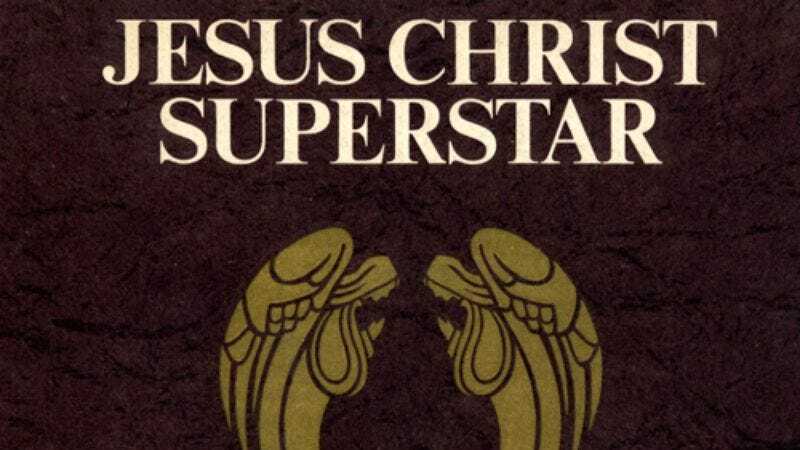 On the Sundays when she lacked the energy required to drag my little brother and me kicking and screaming to mass, she would give up and play all four sides of Andrew Lloyd Webber’s Jesus Christ Superstar while we played in the living room, as a church substitute. This happened so many times that this entire rock opera is now etched into my DNA. It’s the ghost of Judas who leads this lament, as Judas, more than anyone, needs to know if he has actually betrayed the savior. The song combines a transcendent James Brown sensibility with a chorus that asks Jesus the most important question of all: “Do you think you’re what they say you are?” When the angelic chorus appears to confirm Jesus’ status by singing “Superstar,” it’s a palpable relief. That so much frantic energy ends with Jesus’ death exhausted me even as a kid, resonating far more than the multitude of crucifixes I was surrounded by at school. It was likely the first time I realized the effectiveness of rock music to translate an epic like this one. So all these repeated listening sessions of JCS didn’t accomplish my mother’s initial intent. If I walked into a Catholic church tomorrow, I would probably burst right into flame. But my love of over-the-top rock opera, as grandiose as possible: That will never die.